Islamophobia is widespread. 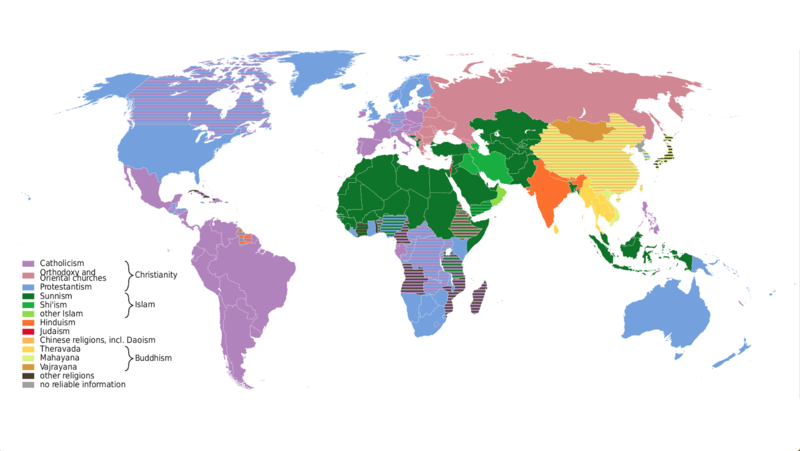 Although other religions, eg, Christianity, Judaism, Hinduism, have been feared, Islam in particular seems more extensively feared today, especially following 9/11, as evidenced in Google: “Islamophobia” returns 5,760,000 million results, >100 times more than “Christianophobia” (46,100), “Hinduphobia” (18,600), and even “Judeophobia” (58,400). Other religious and cultural traditions have been subject to hostility and prejudice, of course (eg, anti-Semitism), but this is different than fear, per se, which is a common Western stance toward Islam. When religious literacy is lacking, one observes people asking “Why do they hate us?” Even President Trump has said “I think *Islam* hates us” (my *emphasis*). This us-versus-them attitude and stance toward Islam should prompt the essential response, “Which Islam?” For many who fear Islam, the word “Allah” is conflated with “Islam,” and “Muhammad.” Instances of this conflation are easy to find in social media exchanges. “Allah” for many of the religiously illiterate, therefore, has become symbolic for the feared “them.” As such, “Allah” is an appropriate script for this calligram. 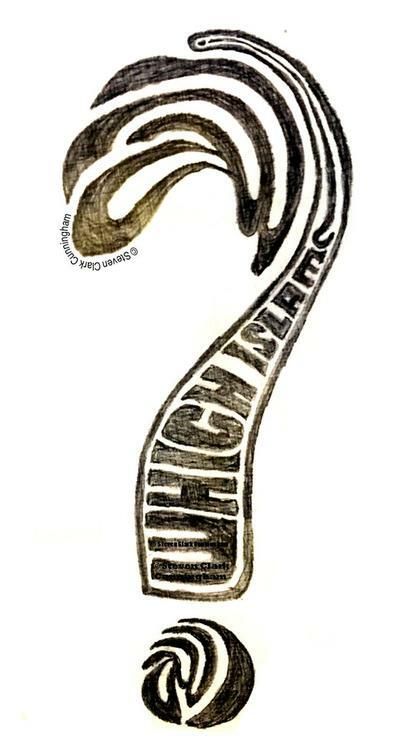 The reason the question posed in this calligram (“Which Islam?”) is so important is that it arrests the cycle of ignorance, fear, prejudice, and allows the question “How do you know what you know about Islam?” Once down this essential path, one begins to appreciate one’s situatedness, and the misinterpreted aspects of the proverbial elephant – this (tusk) is a spear; this (tail) a rope, etc – are seen for what they are, a tusk and a tail, as one’s perspective broadens. Similarly, when an Islamophobic person manages to ask, or is asked, “Which Islam?” their perspective may widen, fear lessen, and understanding increase. A better understanding of “the other” will facilitate an approach to the real problems – terrorism, etc, – that have led the innocently ignorant to become Islamophobic.